Civil disobedience without disobeying - the quietest revolution. Centralized, fossil fuel-driven agriculture is one of the most consistent, widespread and destructive activities in the history of human civilization. “Organic” or not, it has ended the life of more organisms and laid waste to more natural territory than any other aspect of human existence. 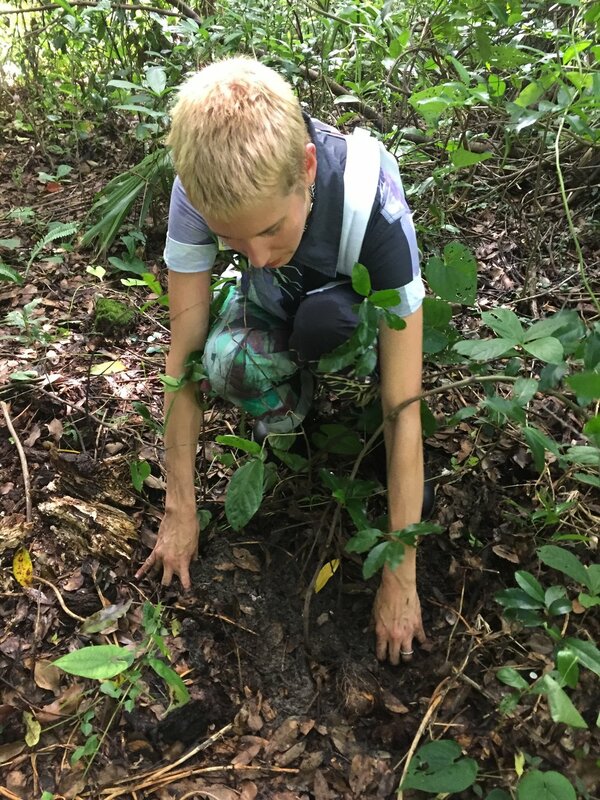 Foraging is a practice which directly, and drastically, counteracts this cycle, by promoting a move toward a localized resource economy existing within the boundaries of its own available means. Importantly, it does so without any act of aggression or confrontation, by simply promoting constructive, alternative strategies for survival. ANTIBODIES is a two-part exhibition produced by the FEELD collective. 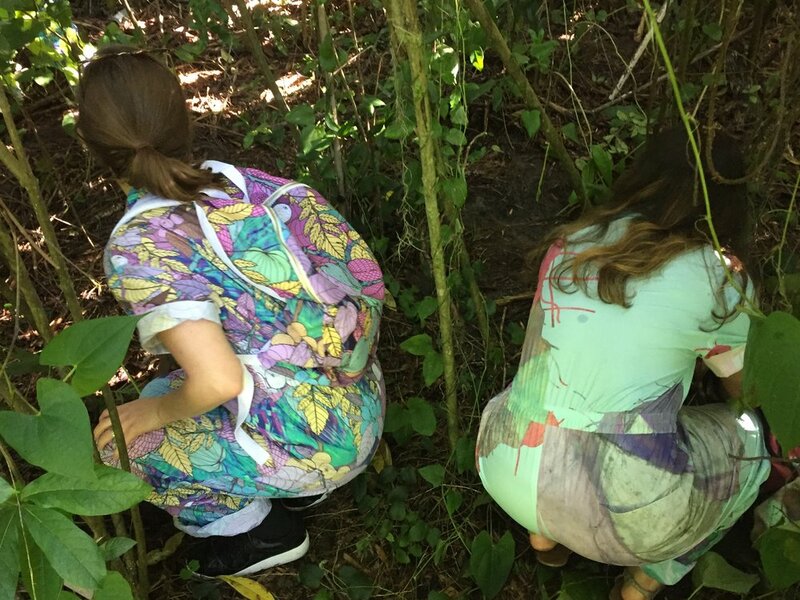 The first component is a participatory art experience, where members of the community are invited on a series of foraging excursions wearing PAOM field ensembles. The second part of the project involves a gallery display of the field ensembles, equipment, yields and gathered artifacts. 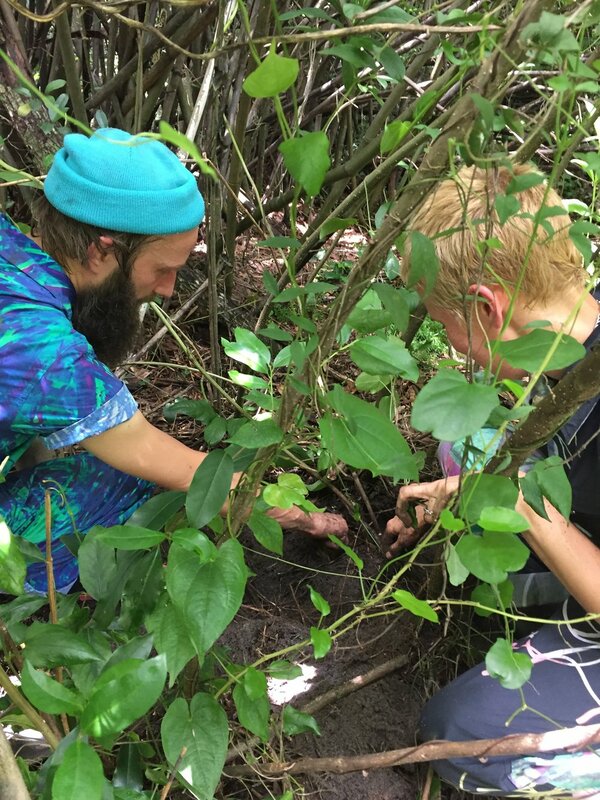 The four artists engaging with this project are Madison Creech, textile artist and Creative Arts professor at Stetson University; Matthew Creech, illustrator, print collagist and barista from North Carolina; Ola Lindefelt, Swedish-born experimental cellist and audiovisual composer; and Wren Turco, photofilm sculptor and minimal electronic musician from Florida. 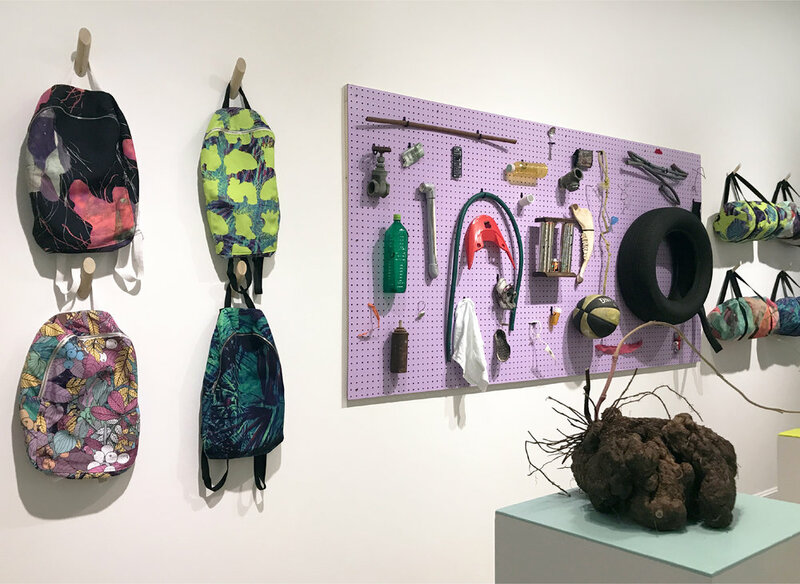 Drawing on shared concerns and ideas as well as their diverse backgrounds, the four artists recently started collaborating as the FEELD collective.